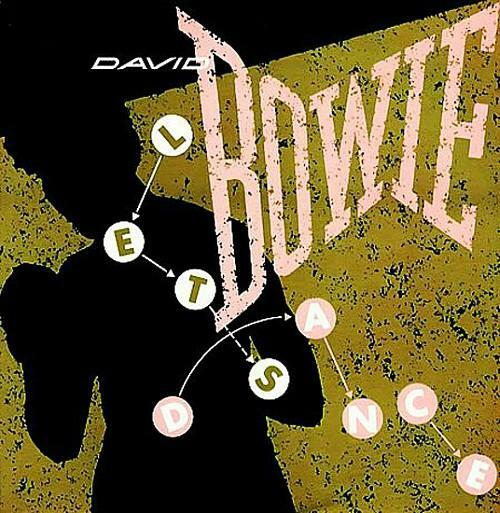 Released on 14th March 1983, "Let's Dance" was the title track and lead single from David Bowie's fifteenth studio album, and became the singer's fourth number one in the UK - if you include "Under Pressure" with Queen, that is. It came at a time when a blonde and suited Bowie was at the peak of his career in terms of commercial success, but also a time when his older fans were displeased with the direction he was taking musically. From the opening cresendo of "ahh"'s (which are reminiscent of those used in The Beatles cover of "Twist and Shout") to the big and shiny production, Rodgers and Bowie conjured up a masterpiece between them. The single entered the UK singles chart at No.5 on 20th March, during the same week that Duran Duran entered the chart at No.1 with "Is There Something I Should Know?". Bowie reached No.2 the following week, before finally reaching No.1 on 3rd April for three consecutive weeks. During the final two weeks at No.1, Bowie prevented Culture Club from reaching the top spot with "Church Of The Poison Mind". The song also became David Bowie's only No.1 on the Billboard Hot 100 in the U.S, and also spent four weeks at No.1 in New Zealand. The single topped the charts in Belgium, Canada, Ireland, Netherlands, Norway, Spain, Sweden and Switzerland. Bowie met producer Nile Rodgers at Carlyle Hotel in New York during November 1982, and invited him to back to his home in Switzerland to work on some demos with him. Bowie played a song he wanted to call "Let's Dance" on a 12 string guitar which had half of its strings missing. Coming from a disco background with Chic, Rodgers described the track as a folk song and was really not that impressed. While at Mountain Studios in Montreux, Switzerland, near to where Bowie was living, Rodgers and engineer Bob Clearmountain worked on the song to make it more danceable and commercially viable, and roped in some musicians to create a demo tape on 19th and 20th December 1982 - the previously unheard demo was released on Jan 8th 2018, with the full length demo being released as a single on 21st April 2018. The B-side features the track "Cat People (Putting Out The Fire)" which was penned by Bowie and Giorgio Moroder, and was included on the 7" and 12" vinyl and cassette single. A 7 minutes 38 seconds version of "Let's Dance" was included on the 12" and cassette. With the urge to take a new musical direction, Bowie dumped his usual producer, Toni Visconti, and asked Rodgers to work on other demos to create an album. It took about 17 days to cut the album, with help from unknown musicians, one of which turned out to be Stevie Ray Vaughan, who plays lead guitar on "Let's Dance". Two more singles were released from the album which were "China Girl" and "Modern Love" which both reached No.2 in the UK. This was filmed in Australia in sheep-shearing country in New South Wales, and opens with an outside view of the Carinda Hotel. We see an old fashioned, wooden radio set float into the hands of a woman who is also floating backwards. 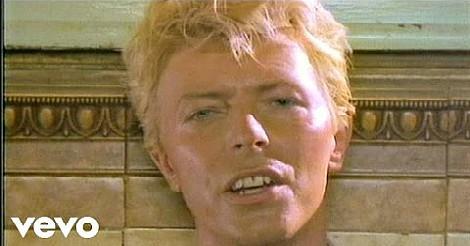 The next scene takes place inside a pub room in the hotel, and Bowie can be seen standing next to a double bass player, with real villagers from the area looking on. Their reactions are very real and they actually had no idea who David Bowie was! The two aboriginal dancers who are "dancing to the song they're playing on the radio" are Jolene King and Terry Roberts, two students from a dance theatre. At the time, there was a lot of negativity towards the indigenous people of Australia. So to have two of them dancing in a "redneck bar" (as described by the director David Mallet) full of locals produced a very real reaction. It was rare for Aboriginals to be seen hanging out in bars full of white people. Indeed, the video sets out to highlight the plight of the indigenous people. In 1983, to see black faces take the lead roles in a movie was a very rare event indeed. So it was pretty remarkable and groundbreaking that Bowie would make King and Roberts the stars of his music video. The video is pretty literal, and in the next scene, we see Jolene King (who is now in a group) put on a pair of red shoes and start dancing, mirroring the lyric "put on your red shoes and dance the blues", although the lyric isn't sung at the same moment. The red shoes symbolise capitalism, and the video makes a strong statement against racism and oppression. The next few scenes see the aboriginal couple participating in hard, manual labour with white people looking on, symbolising the indigenous people's hardship against the prosperity of white Australia. A business woman wearing red shoes can be seen with David Bowie (who is dressed as a business owner) watching over Roberts while at work in a factory. We also see him dragging heavy machinery up a busy street. We then see a female wearing red shoes walk past King who is scrubbing the doorstep at her luxury home. This is possibly the same business woman, although we don't see her face. The couple are then drawn into a world of consumerism, buying jewellery with an American Express card, visiting an art gallery and enjoying a candlelit dinner. Near the end, King kicks off the red shoes and stamps on them, which symbolises the couple rejecting consumerism and city life.